When selecting the best snowshoes for mountaineering and other rigorous activities in the snow, you have to keep in mind what types of activities you will be doing. Some snowshoes will not be equipped for the types of activities that you will encounter in mountaineering. 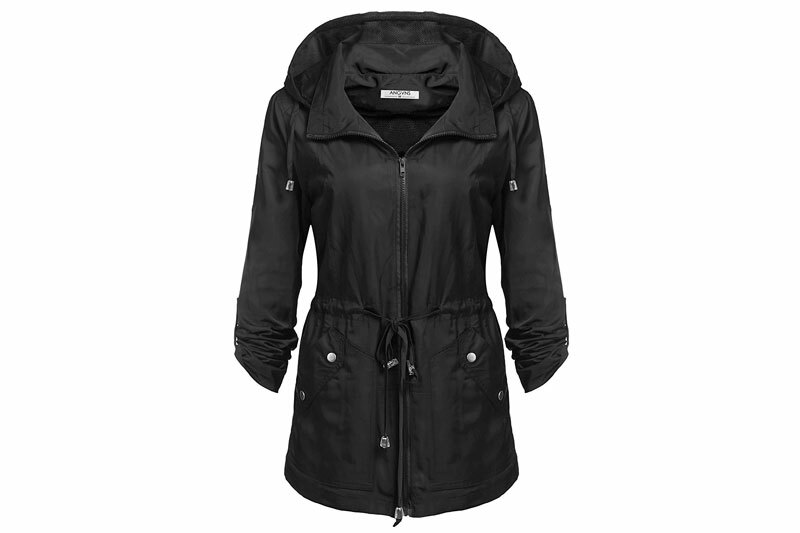 You also want to keep in mind the quality of the design and closures, as well as the name brand. More and more lately, industries have been covered in products that you can purchase for a fraction of the cost. The problem is that products like this cost a certain amount to manufacture, and you may get a product that won’t hold up. There is absolutely no point in risking this happening when you are out in the snow at elevations. That’s why we have put together a top 10 lists of the most well-respected name brands in the industry, and the most well-built snowshoes for use in more vigorous activities, and altitudes where it really matters whether or not you have your grip and maneuverability. Every brand listed below is constructed of the best materials on the open market, stood behind by their manufacturers, and known favorites in the mountaineering snowshoe industry! In 1906, Walter F. Tubbs of Norway, Maine began the Tubbs line of snowshoes. The bows were made from carefully selected white ash, along with the best quality cowhide available. Walter Tubbs made shoes in all sizes, took the market by storm, and has been in business ever since. 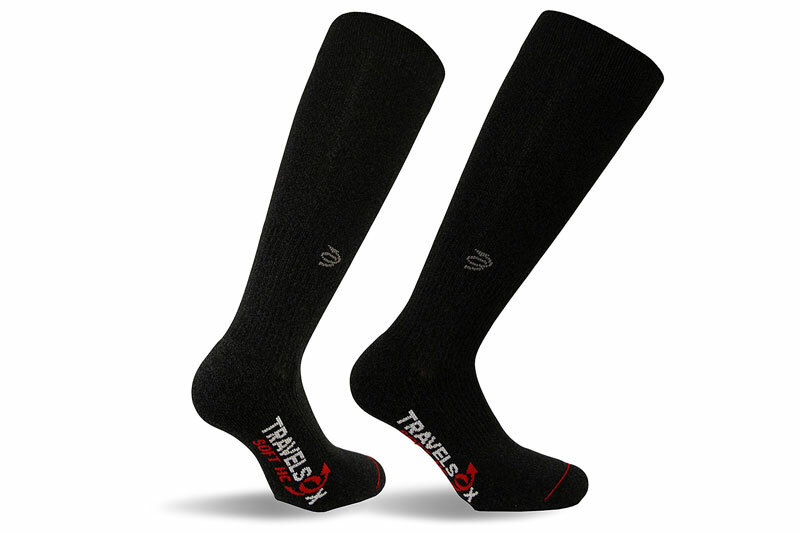 A trusted name in the snowshoe industry, Tubbs has been a huge exporter of quality merchandise for over 100 years. The Tubbs Snowshoes FLEX Vertical Snowshoes are second to none in terms of quality. Ranging from sizes 22″ to 28″, the shoes are designed to deliver excellent performance for backcountry exploration or long ventures in the snow. The Boa closure system, a well-known and very efficient closure system that has become a favorite for many will keep your feet evenly secure, and with 4.7 stars out of a possible five-star rating, these black and plum snowshoes are, pretty close to impossible not to want. 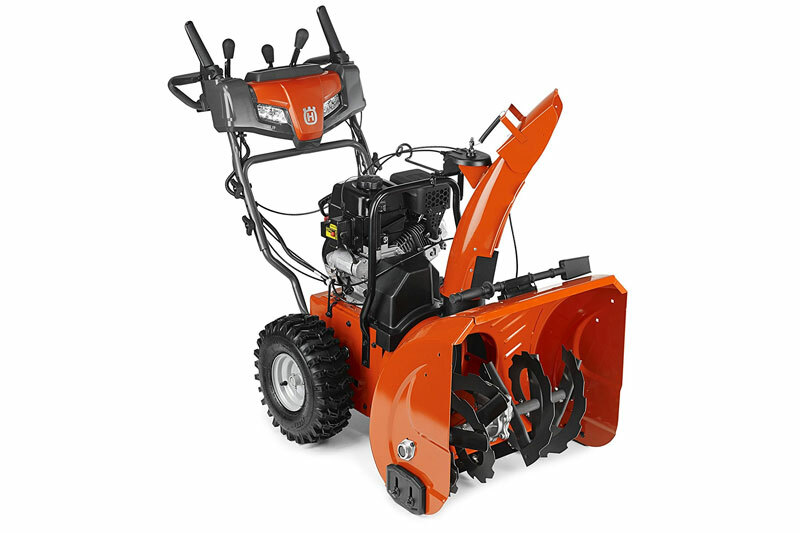 MSR is a well-known manufacturer that was founded in Seattle. They have built quality products since 1969, and since have become a well-trusted manufacturer of quality products within their industry. MSR’s Founder Larry Penberthy was kind of a one-man crusade dedicated to improving the quality of climbing equipment. To this day, old-fashioned as it seems, Mountain Safety Research is still hand-crafting products on their manufacturing lines to ensure superior quality. The MSR Lightning Ascent Snowshoe comes equipped with traction frames for added grip, edge to edge support on your feet. This gives you control and way better grip in moments when you need it the most. 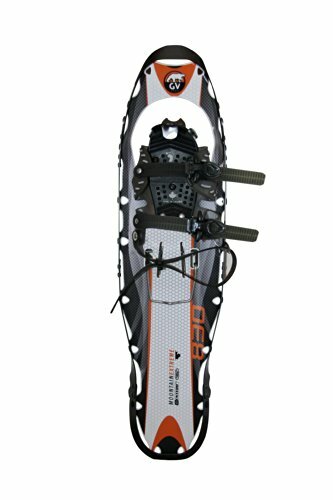 These snowshoes are constructed with two-piece, independently conforming A-T bindings, for a freeze resistant release, and modular flotation, allowing you to maneuver better. The MSR Lightning Ascent Snowshoe has a 4.4-star rating and is said to be more than ample for mountaineering and hiking in the snow. The Chinook Trekker Snowshoes are designed by Chinhook Technical Outdoor will come with the manufacturer’s warranty that you can sign-up for on the website. Chinhook Technical Outdoor “strives the for perfection through their experience with the outdoors and creativity”. With 4.6 stars and 171 customer reviews, you know for a fact you’re not getting a bad product. These snowshoes are top-quality and have their owners bragging about them being very comfortable and secure shoes. They have a UV resistant polyethylene decking, and the bindings are ultra-flexible. With a lightweight yet strong aluminum frame, this economic design will guide you through where you want to go with a superior grip and comfort so that you can move around freely. The Chinook Trekker Snowshoes have easy to use freeze resistant ratchet bindings, made to adjust easily and fit securely, and will easily work with gloves on as well. The heavy-duty aluminum crampons rotate, allowing you to bite into the snow, and giving you the support you need to make turns and maneuver around things. The heel crampon is useful for you when you’re heading downhill, and bottom line; these shoes were designed for mountaineering. The Chinhook Trekkers are a top quality, durable, well thought out design, and you should be in very good hands with these! These GV Snowshoes Mountain Extreme Snowshoes are manufactured by GV, a Canadian company that has been crowned a snowshoe industry leader since 1959. GV remains the only snowshoe manufacturer that manufactures every type of snowshoe available on the open market. With three manufacturing plants and over 60,000 ft. of production space, GV has been known for over 50 years for manufacturing top-quality, faultless products. GV is dedicated to customer service, and offer either a ten-year or five-year warranty depending on what your product is made out of, whether it be rawhide or traditional synthetic lace. The GV Mountain Extreme Snowshoes are just what they say in their name. An extreme snowshoe made for mountaineering. There you have it. A quality product by GV snowshoes and it has the customers raving! 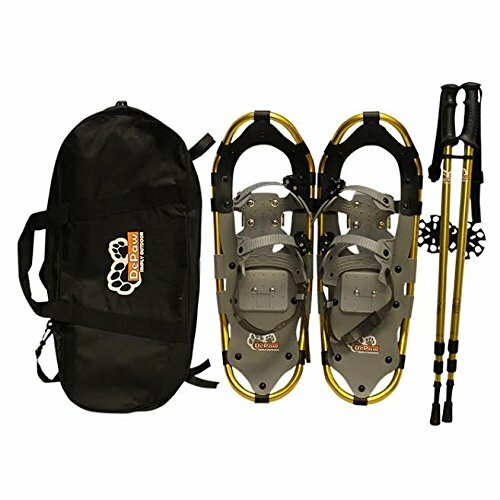 Mountain Tracks Pro Snowshoes are manufactured by Mountain Tracks, a leading manufacturer specializing in men, women, and children’s snowshoes. They have been known since they came out in 2003 for quality, and these Pro snowshoes have been made to last a very long time. The Mountain Tracks Pro snowshoes are designed for users up to 220 pounds (including gear). They’re made of a lightweight aircraft grade 6061 aluminum frame and have fully adjustable binding systems that fit any size foot from a youth to an adult. These snowshoes only weigh 3.7 pounds, and they come packing a 4.5-star rating from previous buyers. 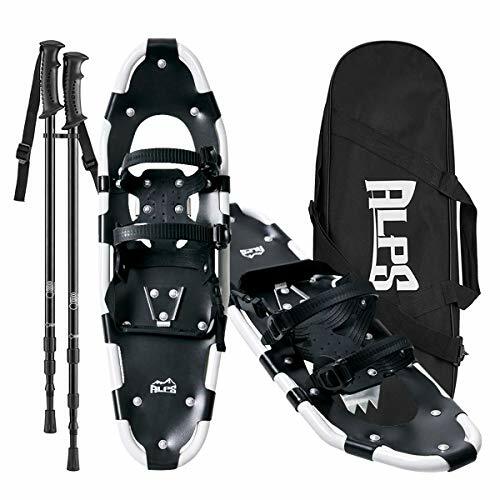 The ALPS Adult All Terrian Snowshoes with Anti-Shock Adjustable Snowshoeing Pole and Free Carrying Tote Bag is a bestseller on Amazon. With a 4.1-star review, the shoes have been reviewed by over 170 customers, and are known favorite in the industry. The shoe frames are made of lightweight 6000 series Easton aluminum tubing, and the bindings are molded around the boot to cradle both the arch and the ball of the food so that there are no pressure points. These boots include a free carrying tote bag and a pair of anti-shock snowshoe walking poles, and come highly recommended by previous customers, and ALPS has been around for years and is also a highly regarded name in their industry. The New Style DePaw Man Woman Kid Snowshoes with Pole Free Bag makes an excellent option for kids, women, and easy days out on the trails. the shoe frames are made out of lightweight 6000 series Easton aluminum tubing, which is why we chose them for our list. 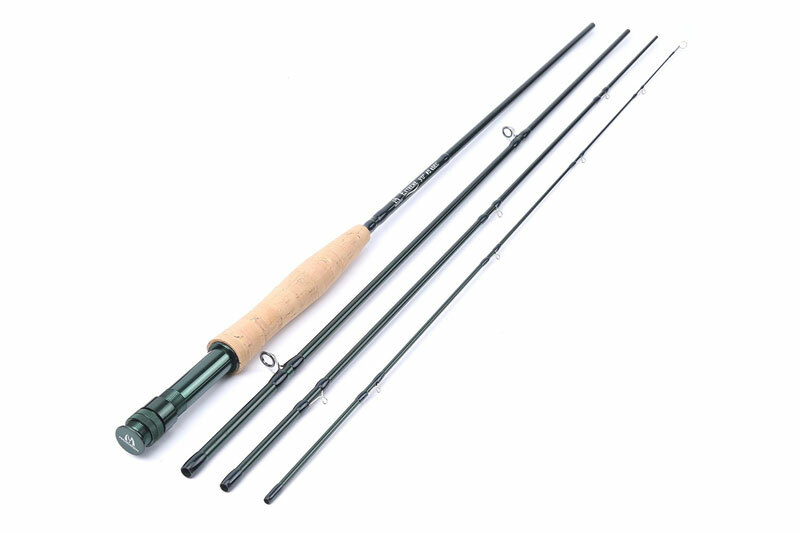 The 6000 series aluminum is the same aluminum made to build high-dollar, similar models that cost in excess of $250. 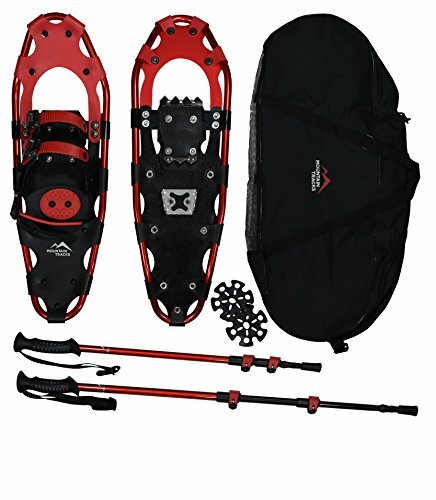 However they pulled it off, these snowshoes are five-star rated from previous buyers, very well priced, and also well-equipped with 8-track stainless steel toe crampons that have uniquely angled teeth to dig deeper into the snow for better traction. The New Style DePaw Man Woman Kid Snowshoes with Pole Free Bag are an amazing value, and have been evaluated for quality, durability, and effectiveness, with green lights across the board! 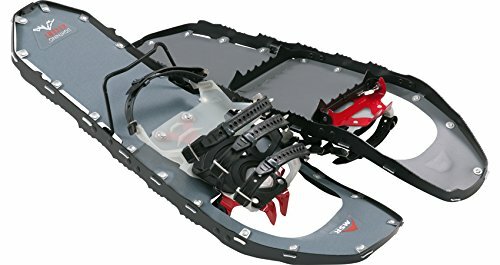 The Tubbs Flex Alp Backcountry Snowshoe has a torsion deck, a rotating toe cord, a viper 2.0 crampon, with active FLEXbinding and a FLEX tail. All the bells and whistles included in a top-quality snowshoe, and a good-looking one at that. You will know as soon as you get one as soon as you get one of Tubbs’ snowshoes in your hand, that there is a reason they have been around building quality products since 1906. That reason is they mean it. 4.5 stars. and you’re coming favorite! Tubbs Snowshoes have been around since 1906 and are considered a leader in their industry. These shoes were designed by somebody grew up in the snow, built a dynasty out of creating snowshoes for the public, and is still one of the most respected top-quality manufacturers in the industry today. Lightweight and strong, and made with the traditional 6000 series aluminum frames, these snowshoes are ergonomically designed to take the strain off your hip, knee and ankle joints while you’re walking. PVC coated polyester decking’s have a smooth, soft texture, and the control wings are designed to snug your foot and, with your heels in a line for optimal control. These shoes are another well thought out pinnacle product from Tubbs! TSL was founded in the heart of the Alps in France, in 1981. The company designed their first snowshoe for the open market in the 80s. By the 90s, TSL was a worldwide distributor and leader in their industry. Their shoes are backed by a manufacturer’s guarantee, so don’t forget to sign up on the website! There’s no question about quality when it comes to TSL Outdoor. 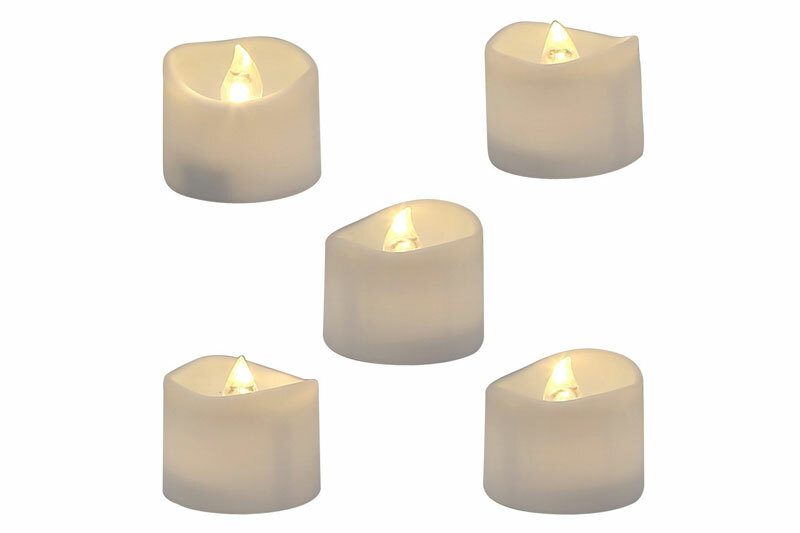 With an ice cold five-star rating, previous customers are raving about these. The TSL Symbioz Elite snowshoes feature hyper flex technology, enhancing your grip on any type of terrain. The memory toe adjustment binding system will allow you to adjust the length of the shoe to fit exactly how you want it. There is a ratcheting inset strap to pull your foot into the shoe and make sure they are snug and secure to your feet. With carbon fiber inserts that store the energy and spring it back into your stride, these snowshoes are even designed to reduce fatigue! If you decide to get these, you are getting our best recommendation! 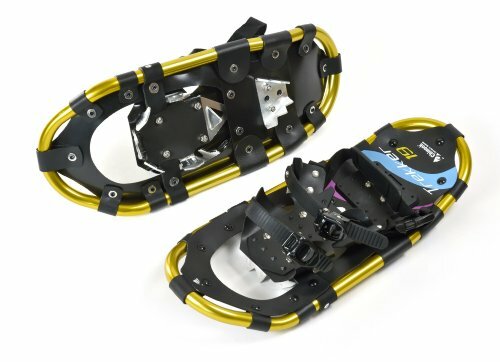 The overall best snowshoes for mountaineering on the open market. Period. Who wants snowshoes if they’re going to be uncomfortable, poorly manufactured, or falling apart on the first or second trip? When something is protecting your body or elements of your body or both, you can’t take any chances. The last thing you want to do is get stuck 5 miles out, and realize that your snowshoes are hurting you… or worse… have a snowshoe break. We saved you a lot of time and trouble by compiling a list of the top 10 most wanted mountaineering snowshoes on the open market in 2017. Every pair of snowshoes above that we have selected are top quality favorites in the snowshoe industry and are built by manufacturers who have been in the business for years, and understand the elements that are out there in the snowy terrain. If you want a good snowshoe, these manufacturers have all been known to go overboard to supplies the best products possible for your mountaineering needs!